Discussion in 'Lexus Lounge' started by spwolf, Feb 13, 2016. Not so fast on BMW winning the 2015 U.S. luxury crown over Lexus and Mercedes. According to manufacturer-reported sales released last month, BMW won. But Polk said today that Lexus was tops in U.S. vehicle registrations last year with 340,392 vs. BMW’s 335,259. It’s a twist in the annual hotly contested luxury brand race, with BMW, Mercedes and Lexus jockeying throughout the year. On Jan. 5, BMW reported total 2015 sales of 346,023. That was 1,422 more than Lexus and 2,935 ahead of Mercedes (excluding Sprinter). 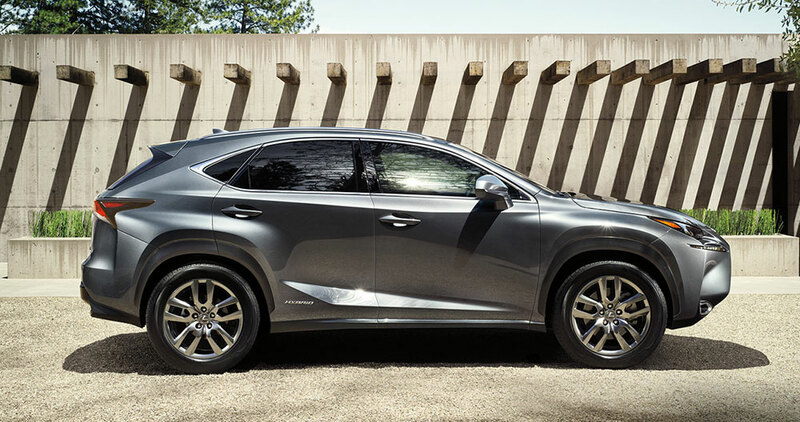 “Luxury sales leadership as measured by vehicle registrations is important to Lexus as it represents actual consumers engaging directly with our dealers,” Lexus General Manager Jeff Bracken told Automotive News in an email. The U.S. registration numbers from Polk, a unit of IHS Automotive, are lower than reported sales for all three brands: By 4,209 for Lexus, 10,764 for BMW and 8,396 for Mercedes. BMW’s claim to the 2012 luxury-brand crown was disputed by Mercedes-Benz after Polk later reported Mercedes had 5,025 more registrations than BMW. The two German automakers had traded barbs for weeks after BMW had reported a huge December sales surge to claim the title. Black Dynamite and IS-SV like this. ^I have friends who have worked at BMW and MB dealers, and both have told me about this process of pulling cars in and out of inventory, dealers buying them as "loaners" and then returning them early in the new year to the new car lot, etc. I used to work at the largest Lexus dealer on the planet and they used to RDR stock units also, usually to a car rental company like Hertz. That was usually just to beat competing dealers who were also vying for the #1 Lexus dealer title. So it's not a practice limited to anyone or any brand. It's a way to report a vehicle as sold to the manufacturer without having to register or title the car. Registrations would be the most accurate way to report sales volume as once it's registered, a title is generated from the MSO. Dreski, CIF and RAL like this. Lexus led all luxury automotive brands in U.S. 2015 vehicle registrations, calling into question which manufacturer was the best selling luxury brand last year. Those two were mine. May, 2015. I can't vouch for the other 340,390.
mikeavelli, krew, Black Dynamite and 1 other person like this. Translation: "Every day we're hustlin', hustlin', hustlin'!" There's definitely no shame in BMW's game. They do much more fleet sales than Lexus and Mercedes. Both the Germans also do about 25% more incentives than Lexus as well. Having more actual customers pays off in the long run. Tens thousand of those European brands have been shipped to China and other 3rd world countries. The small companies & individuals have been doing it for more than a decade. If anyone have opportunities to be in China, just take a tour at any major seaport. Thousands of US version vehicles for sale there at anytime, mainly European brand SUVs. I believe that Lexus have been the best selling luxury brand for the last 15 years in USA. However, outside USA, a totally different story. Agree. The difference in BMW's totals is 10,764 units -- that's just crazy. Are they just sitting on dealer lots? I can't even. IS-SV and CIF like this. BMW's relentless pursuit of this title is a bit self serving and not especially customer focused IMHO. But not as embarrassing as VW's (failed) race for highest ww auto sales volume last year. Off topic: just notice how close in sales among the VW and BMW/Lexus/Benz in USA. VW doing lots of PR on being #1 is also not new... it happened in 2009 I believe and most of the major agencies reported this until February next year when it was found out that they are not #1. So same now, they did a lot of PR that they are #1 even if they held the title for 3 months only in the year, since their Chinese sales dropped heavily in June... so by September they were already #2.
mikeavelli and CIF like this. ^ Yes, and now VW is facing a PR situation unlike any other in their past. mikeavelli, CIF and Ruksac like this. As long as Lexus keeps their reliability up I'm happy they are number 1 but I don't want them to ruin reliability for the sales crown. IS-SV, mikeavelli and Born2Drive like this. Some companies have no shame. Ian Schmidt and IS-SV like this. BMW wielded an unlikely tool to hold onto its crown in the U.S. luxury-car market last year: the loaner. The German automaker narrowly outsold Mercedes-Benz and Lexus, and its success hinged partly on some deal-making in the showroom. Its strategy: Pay dealers to buy BMWs for their fleets of loaner vehicles, showing off the latest models to service customers and boosting sales. Other carmakers have used similar tactics. But BMW has been unusually assertive, according to people familiar with the matter -- so much so, in fact, that it might have lost No. 1 bragging rights to Toyota Motor Corp.’s Lexus without the strategy. “This is a strategy we see across the industry and especially with luxury brands,” he said. “That probably got BMW some or all of the 1,400” margin over Lexus. Another measure of sales -- total calendar-year registrations -- shows Lexus on top and BMW third, according to data from IHS Automotive. The Japanese brand’s tally was 340,392, while Mercedes’s was 337,288 and BMW’s was 335,259. Chasing sales gains has a cost, however. BMW once had the best resale value among luxury brands, but not in recent years, Lyman said. This year, a three-year-old BMW has an average value of 48.4 percent of the new-car price, compared with 49.8 percent for all other luxury brands, according to TrueCar. Lexus allocates cars to dealers to put in their loaner fleets and charges them a subsidized lease rate, according to Maurice Durand, a company spokesman. Dealers then sell the vehicles on their used lots after at least a year of service, said Peter Blackstock, who owns Lexus Monterey Peninsula in Seaside, California, and is the NADA’s Lexus brand representative. He keeps these models as loaners for about 18 months. Great article, thank you! This only further reinforces the facts of BMW's shady tactics to desperately achieve that "#1" spot. I'm glad at least Lexus isn't so desperate or so focused on such a meaningless achievement. On a related note, this is added to my list of reasons why I strongly dislike the dealer system in terms of the entire sales process. Dealers are directly facilitating and complying with BMW's shady tactics here. Let's say hypothetically that dealers did not exist, and brands were forced to sell direct to customers. Then BMW's tactics in this case would be much harder to implement, if not impossible. It would also put much more accountability and responsibility directly on BMW itself, without the existence of the "middle man", the dealership. mikeavelli, IS-SV and Born2Drive like this. In other words, they're not greedy, they're just needy! They needed to put $5k on every hood, plus run a loaner hustle program to keep the sales crown for one more year. Oh, the desperation! Enjoy it, Ladies! You won't be seeing that again for LONG time! I have to say I am impressed that the press is really covering this. A ethical BMW win shows to the world that people consider them to have a superior product. This unethical crap means they just want the sales crown by any means and it has nothing to do with the vehicle. RAL, Born2Drive, IS-SV and 1 other person like this. Is it a German thing?! ?